The first thing that usually comes to mind with the Thanksgiving holiday is food… lots of food, weeeeks of leftover chunks… of food. But instead of discussing all of the yummy side dishes, desserts, and turkey stuffing, let’s get back to the core meaning of the holiday – gratuity. Thanksgiving gives us that perfect moment to not only stuff our faces but to reflect on what makes our lives so special. 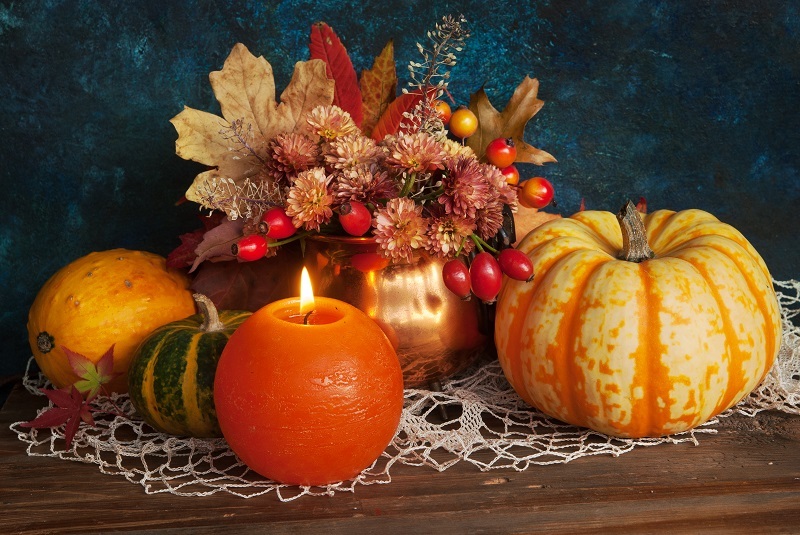 If you’re hosting this year’s Thanksgiving dinner, get back to the basics of the holiday with these festive decorating tips. Use a shoebox and decorate it with all things fall – leaves, pumpkin drawings, turkey cutouts, you name it. Cut a hole at the top to stick thankful messages into. Set aside some paper and pens next to the box and when family and guests arrive, have them write down what they’re thankful for this year. At the beginning or end of dinner (depending on how hungry your guests are) have each person draw out a note and read aloud what the person they picked are thankful for. It’s a special bonding moment to share that guests will surely enjoy and appreciate. 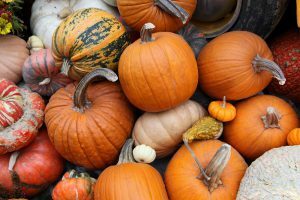 Turn your home into a pumpkin patch filled with all different sizes and assortments of pumpkins. Halloween isn’t the only time to enjoy jack o’lanterns. Turn those scary-faced carvings into a turkey or fall leaf, maybe even a pilgrim hat. They’re fun to make and will add that last touch of fall essence into your home before the madness of mistletoes and Christmas lights begin. Are you traveling this Thanksgiving holiday? Save big with Dubli travel deals flights and hotels – no need to cramp up in cousin Ed’s house with deals like these! With big dinner parties, the occurrence of misplaced cups are guaranteed. Aunt Susan placed her cup somewhere then got distracted by Uncle Bob’s “pull my finger” jokes and now can’t remember which cup is hers. Solve the mystery with cute leaf tags. With kraft paper and metallic gold, cut a leaf shape and thread it through so that your guests can tie them around their cups. For the finishing touch, have them write their names on the tag to keep track of their cups and you can save valuable time washing dishes. The table is the heart of the holiday – it’s where the magic happens. 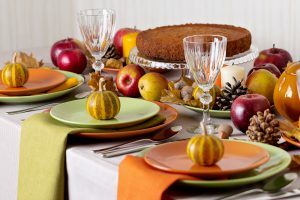 Use a themed tablecloth as the backdrop, anything with orange, burgundy, and brown that resemble the ever-changing color of fall leaves is what you want to aim for. Try layering two tables that flow in different directions to display the intentional layering. Top it off with a table runner that runs down the the center of the table to the ends. Here is where you’ll want to display the centerpiece – where creativity is appreciated. We could do an entire post on DIY centerpieces alone (hm…)! The centerpiece could be as simple as a bowl of pears joined with paper leaves listing your family’s thanks or a set of vases that hold branches (which you could dangle tiny pumpkins, berries, pinecones or leaf paper with thanks). Visiting grandma in another State for her famous casserole dish? Take advantage of Dubli’s 10% discounted airline vouchers in the VIP Lounge. As a VIP member, you can book your next flight with MMI’s 10% discounted airline vouchers to more than 12,000 destinations worldwide. Surely your house will be filled with the wonderful scents of roasted marshmallows melted atop of sweet potatoes, crispy turkey marinated to perfection, buttery corn, and warm cranberry sauce. But the extra hint of a caring home can be placed in the nooks of corners with scented candles. Your guests will love the traces of spicey chai latte, citrus wood or amber blended with the aroma of a traditional Thanksgiving dinner. It’s important for our souls to pause every so often and reflect on what makes us thankful. Take time this holiday to ponder your blessings. Get all of your Thanksgiving groceries, decorations and other holiday needs via dubli.com. You’ll be thankful for all you save!